A HOVERBIKE powered by a BMW R1200R engine could one day be soaring over the battlefields of the future. 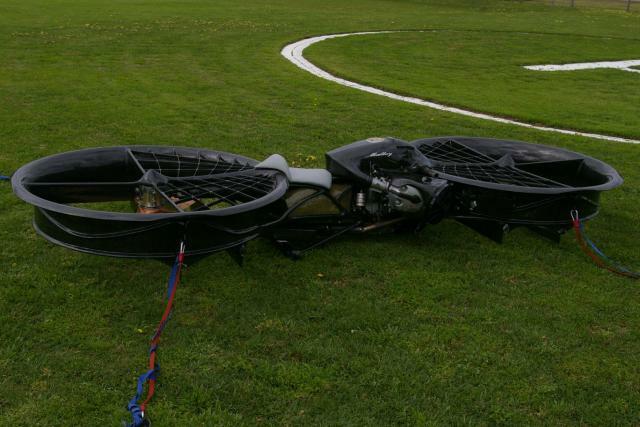 The flying bike is being developed for the US military by British engineering company Malloy Aeronautics to move soldiers quickly across the battlefield over even the most difficult terrain. 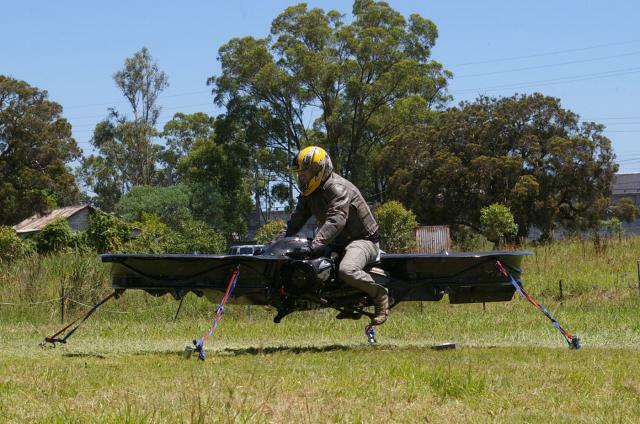 Working alongside a US military research and development firm, the hoverbike could form a new class of tactical reconnaisance vehicle that has more than a touch of the speeder bikes from Return of the Jedi about it. 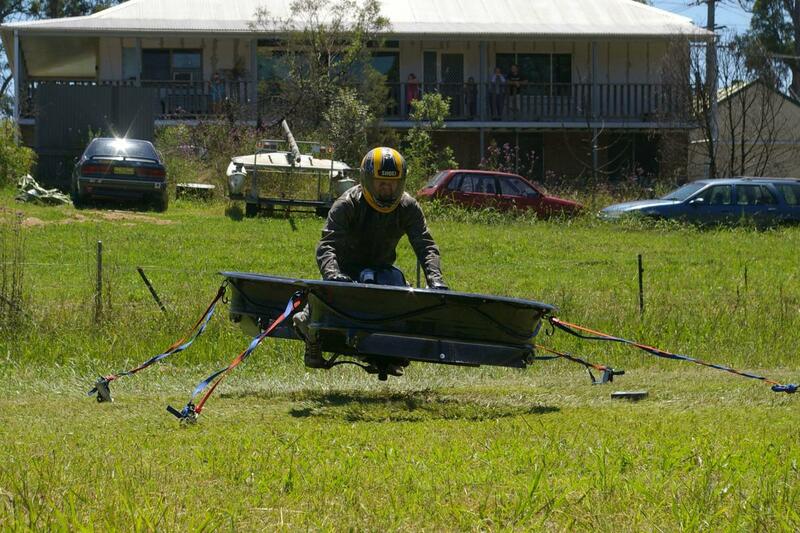 But this isn't technology from 'a galaxy far, far away' - the hoverbike can already be seen flying (albeit tethered to ropes). Currently Malloy Aeronautics has a twin-rotor prototype, but is developing an improved quad-rotor version. The frame is crafted from carbon fibre, kevlar and aluminum with a foam core and the rider (or pilot) sits astride the 1,170cc, air-cooled Boxer engine. The hoverbike's total weight is just 105kg. 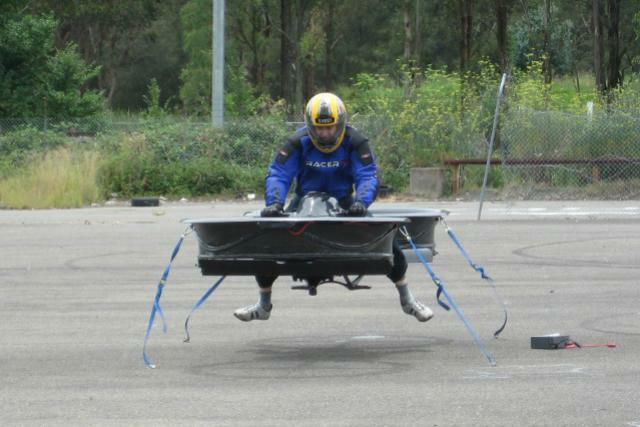 In flight the bike burns half a litre of fuel every minute, that's about a gallon in just under 10 minutes, and has a total takeoff weight of 270kg. 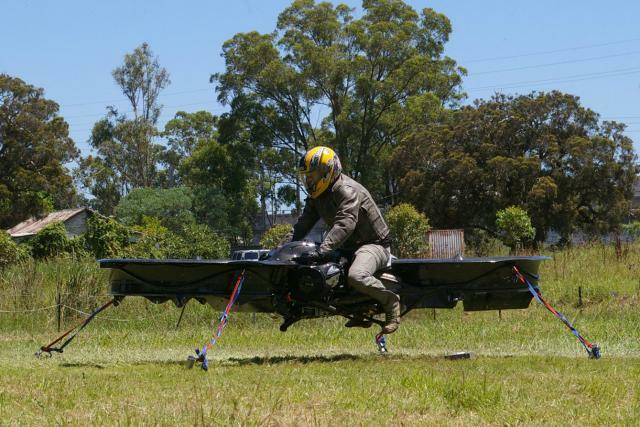 In theory the hoverbike can reach altitudes of nearly 10,000 feet with a range of 140km - that's certainly one way to beat the congestion.